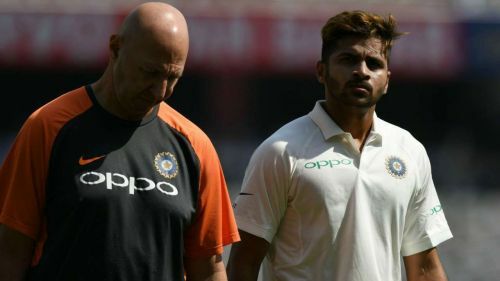 Shardul Thakur's dream Test debut took a sad turn as he suffered a groin injury on the very first day of the second Test against West Indies. Thakur was seen in considerable amount of pain and was forced to leave the field. However, Thakur is not the first one to get injured in the debut match. Making a Test debut for their national sides is a moment of pride and joy for every international cricketer. Years of hard work and dedication finally gets rewarded when the Test cap is handed over to them. It's a moment that every cricketer cherishes for the rest of their lives. However, all the Test debutantes aren't lucky enough have a memorable debut match. 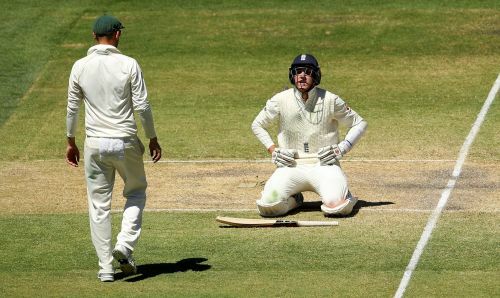 While some players aren't able to cope with the pressure of Test cricket and struggle to perform as per expectations, some players get injured in the very first match of their Test career. Today we will look at 5 such players who got injured in their debut match. Craig Overton, the English fast bowler, made his Test debut against Australia in the 2017-18 Ashes series. He impressed everyone with his pace and control in his debut match and even got the Australian captain, Steve Smith, as his first Test scalp. However, things did not go well with the bat in hand for Craig Overton. The 6ft 5in tall bowler was struck in the ribs while he was batting in his debut Test. The bouncer from Australian quick, Pat Cummins, hit Overton in the ribs and he was seen in immediate discomfort. However, he was able to recover from the injury and played the whole Test for England.